The One-Time-Pad invented in 1917 by Mauborgne and Vernam is till today the only known encryption tool that theoretically can not be broken. Why nobody ever suggested another way of using the One-Time-Pad (replacement of characters with randomly selected characters from a pad) is a mystery to me. A Pad that doesn’t require equal length to the message being encrypted and that is re-usable as long as the key stays secret. It is possible and has been done; so why do we still look for a mathematical algorithm that never will be safe or secure under brute force attack? In a one time pad system it is not advisable to re-use sequences of characters because there are methods that will reveal both, the message and the key of the parts where this was done. During WW2 and few years after the Allies where able to decipher Russian messages because Russian cryptographers become complaisant (or too busy) and repeated entire pages of the random keys sent to the field agents. For the case of messages encoded using binary strings, there is a trivial operation (XOR) to will reveal the message if the key is repeated. "Hi Wandee, If part of the cipher-text is lost, can you decrypt the remainder of the message? I'm thinking – no. This has some of the properties of a block chaining cipher. I'm not complaining – it's very good. I can't see any weaknesses at all." We still wait for the reply from the two other universities (focusing on cryptology) that suggested to us that they could break the code if we would use an OTP that would be outside the rules laid down by Shannon in 1949. We are still waiting and we know that we will have to wait until doomsday and thereafter since our Pad cannot be broken without being in the possession of the correct key. Wandee, excuse my skepticism, we all have seen a lot of claims about unbreakable schemes go up in flames before. However, I am always open minded and willing to analyze new algorithms. Moreover, as you know one of the cardinal rules of modern encryption is that the algorithm should be publicly available and only the key needs to be secret . 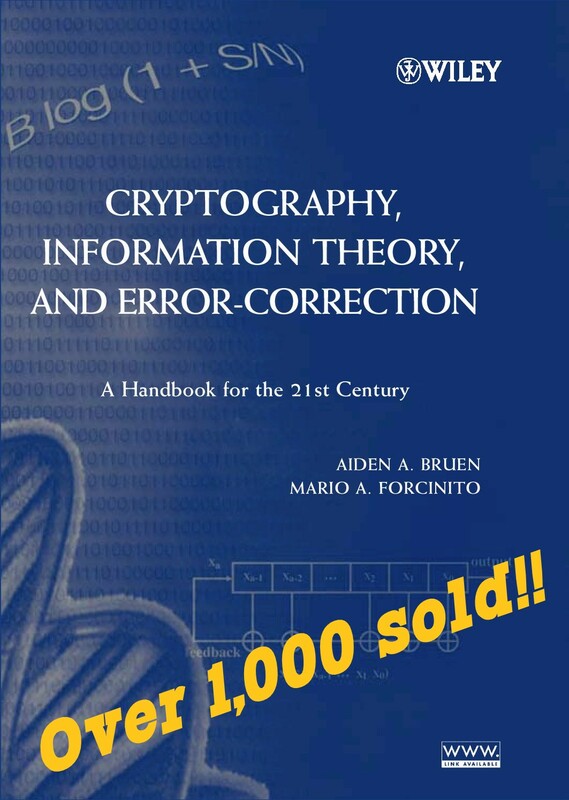 I guess that, after you have secured your intellectual property rights, you should publish your method for the whole cryptographic community to see. Mario, the problem are algorithms that got us into trouble in the first place. The One-Time-Pad doesn’t use an algorithm but requires a physical action by someone that has to select random characters for the pad used to replace the characters of the original message. People that work in the field know that. They also know that a message cannot exceed the length of the Pad or that it will generate pattern that can be identified. There seems not much of intellectual property since we didn’t invent anything but used simple rules permitting us to generate a Pad that is endless despite the fact that it is only a 1.4 KB file that contains 500 to 600 characters. Like Newton couldn’t claim an intellectual property right to gravity we don’t have a claim on something for us so obvious that has been overlooked for such a long time – nearly 100 years. As far as skepticism goes, we had to face it when we approached academics working in the field at different universities. When we asked them to evaluate the system we got replies like having no time due to other workload or from Bruce Schneier a flat 3 words No Thank You without regards or anything. The ones that replied and took the time are stunned as Jim in Australia who, believe me, tried everything to break the system. For them the claim has turned into a fact, only to go up in flames if our system can be broken. One hint for you before the New Year starts – the solution is not an algorithm but text. If you would like the complete text of our blog prior of us publishing it all (we would take 2 to 3 weeks with that to allow discussions about each chapter) give me an email address and I will mail it to you. As a reply here I would think it would exceed what you would regard as a normal reply (8 A4 pages). My email address is wandee@inbox.com. My partners and I don’t have a problem with it if you would like to publish the results if you come to the same conclusions as 3 professors (one a deputy dean of computer and computer languages department, another working in computer science and cryptology and the last working in the field of mathematics), that we have something of substance. When we started our enterprise we certainly didn’t look for mega bucks, but we felt very angry about privacy and the way it has been eroded. It started off with an article in an US magazine reporting about the NSA center in Utah about 2 years ago. I tried to but it seems that it will not work on the last day of the year. Here is another mystery of modern science – I was locked into my email account when replying to your comment and now I have been reduced to Anonymous. Happy New Year Mario, for you, your family and friends. Looking forward to hear from you!